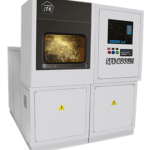 Electrochemical precision machine SFE-8000M is used for production of shaping elements (surfaces) of matrices, press molds, dies and other parts, which have complex-shaped surfaces and total area of processed surface up to 80 cm2. 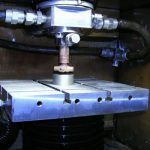 Precision machining of shaping surfaces of die tooling is one of the most labour-consuming and, therefore, expensive processes in tool production. 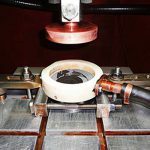 A dimensional electrochemical machining with application of SFE-8000M machine is used to increase productivity and reduce the price of production. 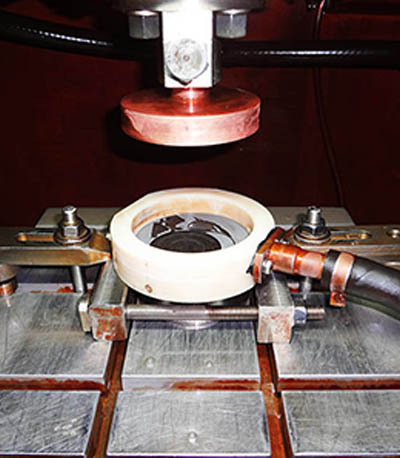 Capabilities of an electrochemical machine SFE-8000M are used for shaping and sizing of the processed workpiece, on which with exact replica form and technological dimensions of tool electrode are copied. 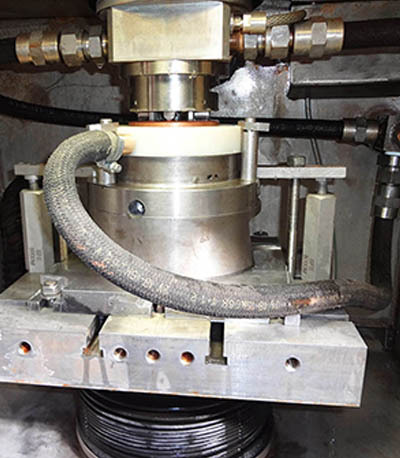 Maximum area of workpiece machining on SFE-8000M machine is not more than 80 cm2. 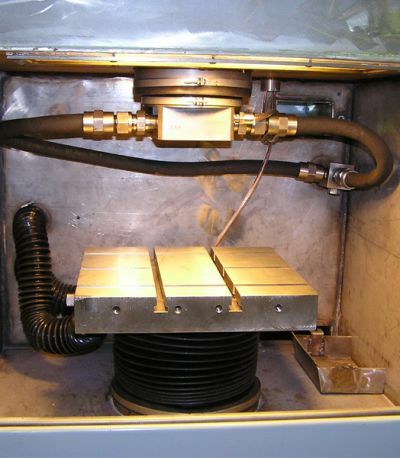 Processed workpiece dimensions are limited with dimensions of working surface (plane) of the table: L=360 mm. 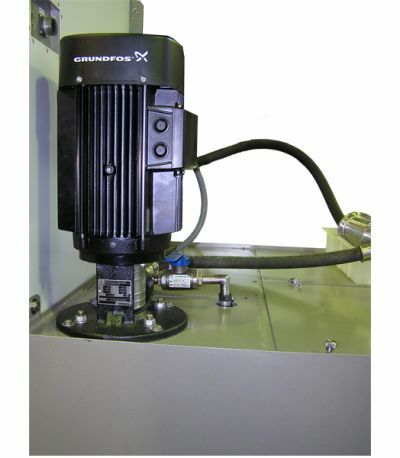 B=330 mm. 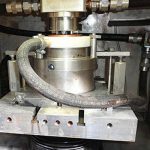 (in addition it is possible to let the part go beyond the table 100 mm to one side provided it is reliably fastened) and with maximum processing area S=80 cm2. 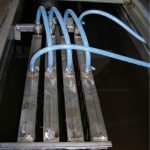 Maximum processing depth is 80 cm2 . 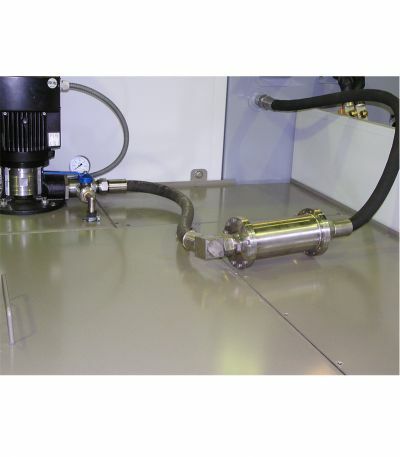 Maximum area of simultaneously processed surface and a front part of workpiece (die) is 80 cm2. 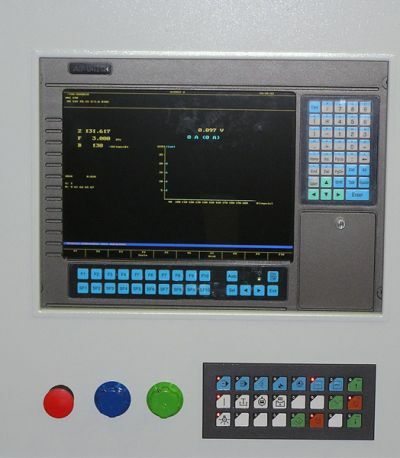 Control over machine SFE-8000M is exercised with up-to date ADVANTECH workstation of the latest version. 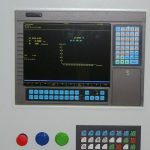 Control system does not support output of information about machine state and processes onto a liquid-crystal display. 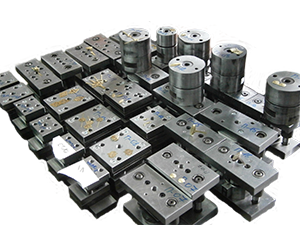 Maximum area of simultaneously processed surface and a front part of workpiece (die) is to 80 cm2. 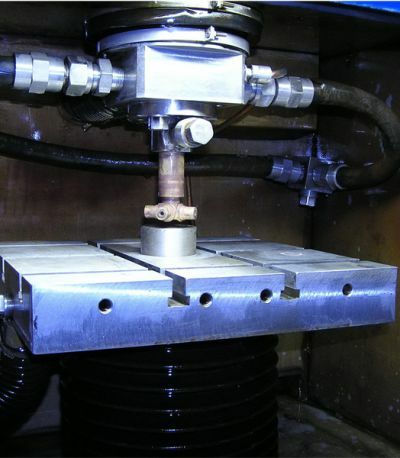 Copying-broaching ECM machine SFE-8000M is equipped with a build-in system for filtration and cleaning of electrolyte, which is intended for filtration, cleaning and supply of electrolyte to SFE-8000M machine at adjustable pressure parameters. 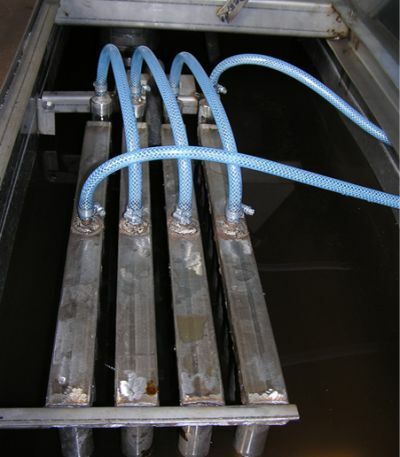 The processing on SFE-8000M electrochemical machine is performed at a low (less than 12 V) voltage with the help of 12% water solution of sodium nitrate (NaNO3). 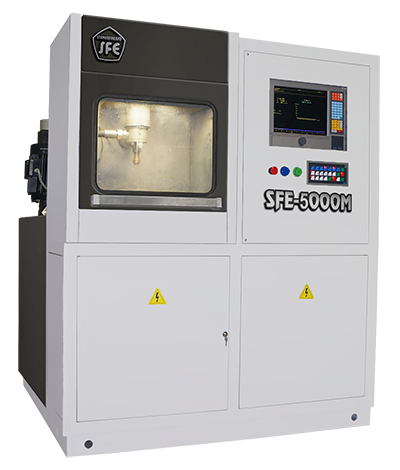 Electrochemical precision machine SFE-8000M, equipped with Advantech workstation, is environmentally friendly and safe. 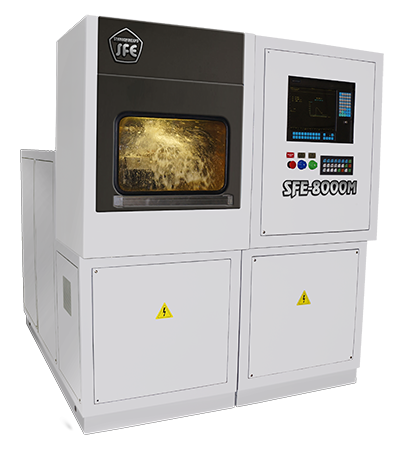 SFE-8000M machines can be mounted in all engineering and utility services rooms with even concrete floor, and they occupy not more than 3.6 m2. 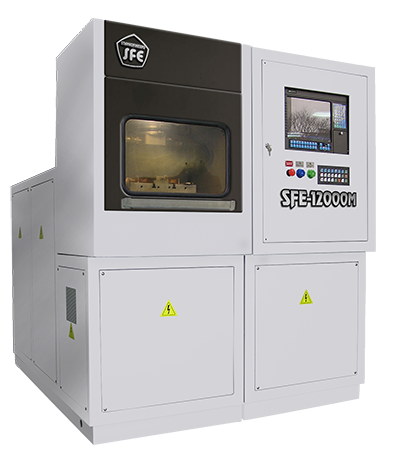 SFE-8000M machine is easy-to-assemble and transport (separation of two parts of the machine is provided). 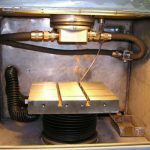 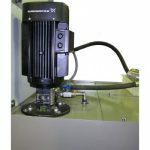 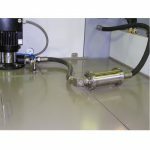 Everything necessary is supplied in the set for operation of an electrochemical machine SFE-8000M – no additional purchased option is required for a long-term stable and trouble-free performance of the machine.